Angela Carson inherited her lighthouse turned holiday store, Heart of Christmas as well as her Grandmother’s beach home. The business has been run by three generations of women trying to support their family and being a part of the small town of Pleasant Sands, North Carolina. But since a new chain store has come to town, this may be the last generation to have a store. 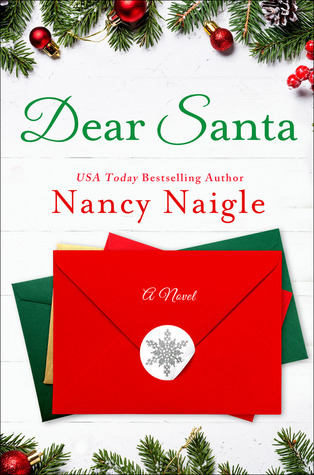 As Angela struggles to make a decision, her niece suggests she write to Santa on her app. To get her sister off of her back, she does. And finds a pen pal with good advice and maybe a chance at love. This was such a sweet Christmas miracle story. I hope we see more of Angela and Pleasant Sands. There are quite a few really good characters here. It wasn’t sappy but it was uplifting and made me smile a lot!